African leaders, healthcare professionals, international humanitarian organizations and others have praised the work done in battling the latest and most deadly outbreak of Ebola Virus Disease (EVD). In Liberia, Guinea and Sierra Leone, the epicenters of the latest outbreak of the deadly pandemic, there has been a dramatic decrease in the number of cases reported. It is estimated by the World Health Organization (WHO) based in Geneva, Switzerland and the Centers for Disease Control and Prevention (CDC) in the United States that some 9,500 people died among the 20,000 infected over the last year. Nonetheless, even though there has been a precipitous decline in reported cases as borders re-open throughout West Africa and life is returning to some form of normalcy, experts and leaders warn that vigilance is still required. An increase in cases in Sierra Leone over the last several weeks has once again prompted concern. Since last month there has been a new outbreak of cases in Sierra Leone of unknown origin. It is suspected that the EVD infections are being transmitted by workers in the fishing industry who have traveled inland to the capital of Freetown. There were 14 confirmed new cases in Freetown during the same time frame, with additional infections being discovered from what is described as unknown chains of transmission in the capital and other locations. So serious is the current threat that Vice-President Samuel Sam-Sumana placed himself in quarantine after one of his security guards died from EVD on Feb. 24. At the same time transmissions continue at very low levels in Liberia, with only one new confirmed case reported in the seven days leading up to the week of February 22. Liberia, which has had the highest number of deaths, succeeded in bringing its number of confirmed cases to almost zero while reopening schools as well as the borders with contiguous states. During the last week of February, Liberian President Ellen Johnson-Sirleaf visited the U.S. and met with Secretary of State John Kerry along with high-ranking members of Congress. She reported on developments in the fight against EVD and thanked Washington for its support. Liberia, a longtime ally of the U.S., has served as a major partner with the Pentagon through the U.S. Africa Command (AFRICOM). Thousands of Pentagon troops were deployed to the country at the height of the outbreak many of which have now been withdrawn. There are EVD vaccine trials also underway in Liberia where some 27,000 people may participate in a study to test the effectiveness of an experimental drug. Clinical trial participants are assigned at random to one of three equally-sized groups. Participants in one group will receive a placebo (saline), while the others will undergo a single injected dose of either the cAd3-EBOZ or the VSV-ZEBOV vaccines. The drugs were manufactured by pharmaceutical companies GlaxoSmithKline and New Link/Merck, which are based in Britain, the U.S. and Canada. 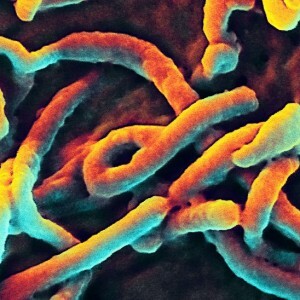 Although several EVD outbreaks have been reported in Africa since 1976, originating in the Democratic Republic of Congo (DRC), then known as Zaire, the 2014-2015 pandemic has been the most virulent, widespread and long lasting. With specific reference to the ongoing trials of the vaccines which was initiated at the Redemption Hospital, a principal investigator of the Partnership for Research on Ebola Vaccine in Liberia (PREVAIL), Dr. Stephen Kennedy, disclosed that he has taken the vaccine claiming the drug is safe and that no one needs to be afraid of the injections. One issue discussed by President Johnson-Sirleaf with U.S. officials was the need to invest in medical, communications and educational infrastructure in Liberia. The West African state which was founded by former enslaved Africans in the U.S. during the early decades of the 19th century has been largely under the control of Washington for nearly a century through the control of rubber and mineral production. Nonetheless, instability is increasing throughout the region and only a resurgence of anti-capitalist and anti-imperialist sentiment can move the people towards genuine independence and sovereignty.